Cocoa Beach is undoubtedly one of the most famous and well-known beaches along the Atlantic coast in Brevard County and throughout the world. For many decades this seven-mile stretch of pristine, white sand and amazing surf has made it legendary for world-class waves and surf and it has become the destination of choice on the east coast of the United States for anyone that loves surfing. Its legendary surfing status along with its close association with the history of NASA and the manned space program have easily combined with all its other allure to make Cocoa Beach a household name and a much sought-after destination for many. Combining all its legendary allure, together with the stunning beaches, amazing surf, breathtaking sunrises and amazing waterfront lifestyle along the Atlantic Ocean in Brevard County, it all makes Cocoa Beach one of the most desirable places in Florida and perhaps the entire country to own a home. However, what most people may not realize is that Cocoa Beach is not just a beach along the shoreline of Florida, it is actually a beachfront on an outer barrier island, which is separated from the mainland by a river and it is surrounded on both sides by water. This means that almost every home in Cocoa Beach has a direct waterfront view and most have private waterfront access. For anyone considering investing in a waterfront home in Cocoa Beach, all it will take is a quick drive down A1A or Ocean Beach Blvd., to make you fall in love with the area and these magnificent, sprawling waterfront compounds that you could soon be calling your new home. The beautiful communities that sprawl out into the gorgeous Banana River to the east are all stunning to see, with almost every home having direct, private waterfront access and dockage of its own. Waterfront homes in Cocoa Beach are also an excellent investment at this time and may be less expensive than you may think, as this area has some of the most affordable waterfront real estate along Florida's Atlantic shore. Home prices in Cocoa Beach range in the low to high six-figures for the riverside homes and begin in the low seven-figures along the oceanfront. Whether it's oceanfront or riverfront your are looking for, there are a wide variety of homes and estates to look at, with something to appeal to everyones taste and price-range. Put simply, I feel there simply are no more amazing waterfront homes and estates to chose from anywhere on the Atlantic Ocean, than along the stunningly beautiful beaches, riverfront and inlets in and around Cocoa Beach, Florida. Cocoa Beach itself has an amazing vibe all its own, with all the wonderful seaside shops, cafe's and restaurants for you to enjoy. Then, to the north and south, each of the small cities and towns along the coast here has it's own distinct personality and appeal and each has it own way of speaking to you. All the beaches along the coast here are paradise for anyone who loves the ocean. Yes, Cocoa Beach is home to some of the most beautiful waterfront property and some of the best ocean and river access in the state, but there is literally no end to the other water-related activities that abound in this amazing community, or in these other wonderful, quaint or bustling seaside communities that you can choose to live in! Everything from shopping in the quaint seaside shops and boutiques, or dining in the myriad of restaurants, bistros and cafe's, to jet-skiing and parasailing, to charter boat and deep-sea fishing, or even just cycling or walking along the waterfront. It's all here at the beach and it's all just outside your door! 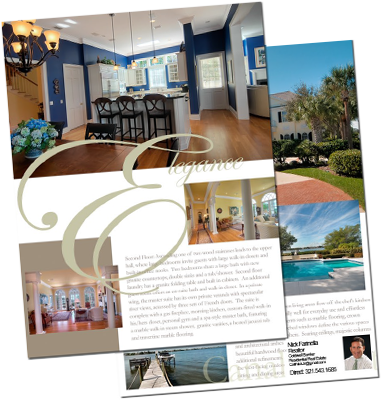 The process of buying a waterfront home involves a specific, individual set of criteria for everyone to consider when preparing to buy a home, and I have the extensive experience and knowledge of the local market and what buyers should look for in their new home, so I can help you choose just the right waterfront home for you and your family. Along the Cocoa Beach shore, there is a virtually endless array of different types of homes to choose from when choosing your new waterfront home. Each and every home will vary in terms of its location, size, the kinds of waterfront views and access they offer, as well as their architecture, layout and the other features they offer. Of course by the time you are ready to buy your dream waterfront home, you have a very good idea of exactly what your are looking for. Always keep in mind the most important things to consider are: the type of waterfront location, the view, the size of the home, the layout and the price range you are looking for. My job is to help you put all those pieces together and find the perfect waterfront home for you and your family. There are always some great deals to be found for waterfront homes in Cocoa Beach every day. 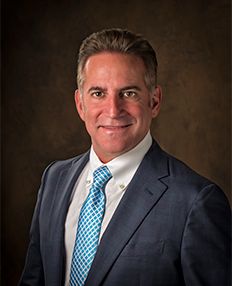 As the #1 ranked Century 21 agent in Brevard County from 1996-2013 and a Top-Ten Century 21 agent in Florida from 2002-2013, I am uniquely qualified to help you find your new waterfront home in Cocoa Beach! I would love to sit down with you to show you my latest inventory of beautiful homes anywhere in Cocoa Beach or Brevard County and schedule a tour. You can be 100% assured that at Nick Farinella Real Estate, I will use my buying experience and marketing expertise to find a waterfront home for you that fits your needs and your budget, or sell your home quickly and at a price you will appreciate. , The Sanctuary and Cocoa Beach, as well as: Brevard County Waterfront Homes and Cocoa Beach waterfront Homes.